There are many possible reasons you may be moving from NJ to Colorado. Perhaps your career is bringing you to the Centennial State. Maybe you just want to be closer to world-class skiing. (What? Vernon isn’t good enough for you?) Whatever the reason for your move, Simonik Moving & Storage is your best choice for a long distance moving company. Since 1977, we’ve been earning loyal customers and winning rave reviews. Our commitment to quality has earned us accreditation with the BBB as well as other awards and accolades. 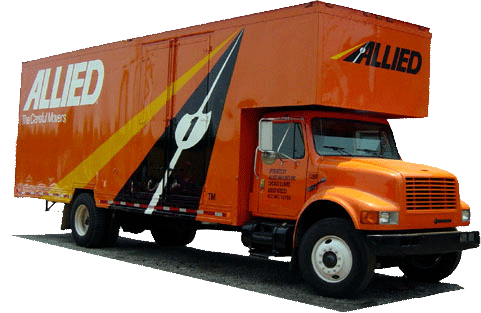 We are an agent of Allied Van Lines which means we have access to the best moving professionals and equipment all over the country, and we can take care of all of your moving and storage needs. You’ve made one huge decision: You’re moving to Colorado from NJ. The next important choice you’ll have to make is which moving company is best for you. One thing you don’t need is to be surprised by additional costs you didn’t know were coming. We’ll come to your home and give you an accurate estimate of what your move is going to cost. You’ll also be assigned a Relocation Coordinator who will be your go-to person throughout the entire moving process. One thing you may need to do during your New Jersey to Colorado move is to store some of your belongings. We even make that easy! Your household items will be packed in sturdy moving containers and stored at our secure storage facility for as long as you’d like. When you’re ready, the containers will be shipped right to your new address. It couldn’t be any more hassle free! We are proud of the services we provided throughout North and Central New Jersey. We have helped people in Hunterdon, Mercer, Middlesex, Monmouth, Morris and Somerset counties make their moves. We have earned the Mover of the Year Award from the New Jersey Warehousemen & Movers Association, and we enjoy ProMover status with the American Moving & Storage Association. Let us put our years of experience to work for you. Contact us for your NJ to CO moving needs. Just fill out our quick online form to get your free, no-obligation estimate.